A new version of the famous arcade. 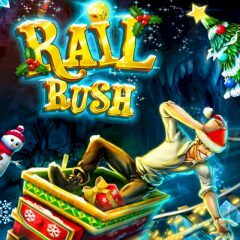 You are rolling on a rail trolley, and your task is to collect as many useful items as you can. Avoid the obstacles and try to collect bonuses – they will give you upgrades. Have fun!